My daughter and I watched President Obama’s Inauguration. 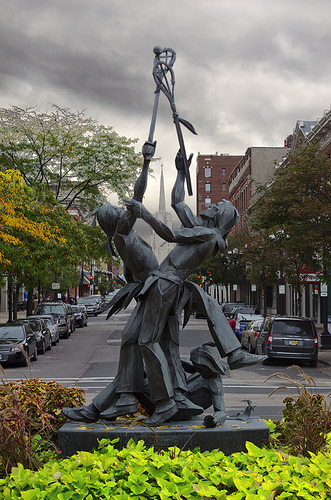 "The Lacrosse Players" by Elmer Petersen in downtown La Crosse Wisconsin. Wow, no kidding! Man, I thought I was cutting edge with my CNN + Facebook open, ha. There’s another laptop just off the image to the right. I’m supporting Lakeland Electric. 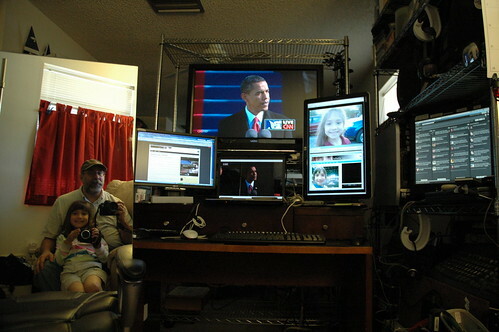 Chuck, I am jealous of your set up….seriously, that is pretty sweet.